Ngc 253 or the Sculptor Galaxy is a treasure of the southern sky. Visible for a very short time in the late Fall for the northern hemisphere, this nearly edge-on spiral galaxy ranks as one of the brightest galaxies in our skies. The Sculptor Galaxy is undergoing a period of intense star formation earning it the title of a “Starburst” galaxy. NGC 253 is located approximately 11.4 million light years away and is a member of our local cluster of galaxies. 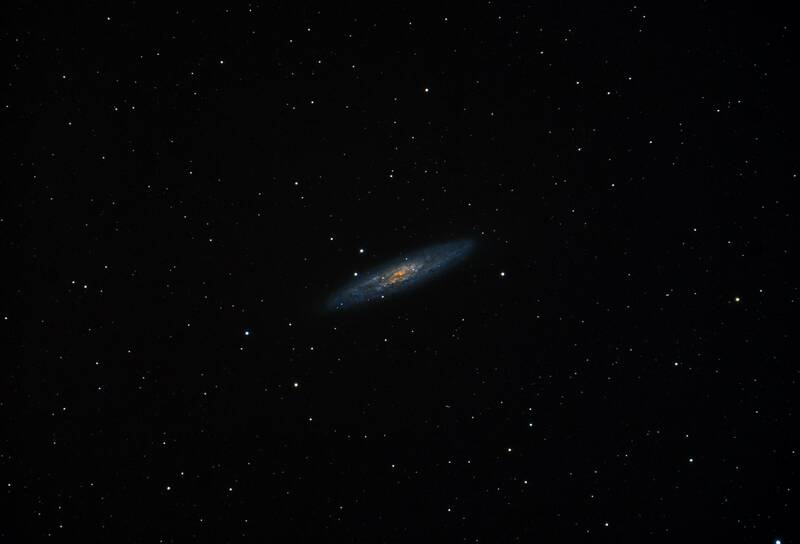 Because it is so close and bright, NGC 253 can be seen quite easily through binoculars. The Sculptor Galaxy is located in, you guessed it, the constellation Sculptor! Just look near the star Beta Ceti. Stacked in dss and processed in Pixinsight.